As soon as you walk into Pangi Gita you are relaxed. We’re not sure if it’s the setting, the lovely staff or the calming influence of the steady sound of trickling water. Whatever it is, it works. 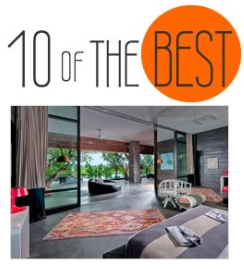 There are no real surprises here except how well-maintained the villa is. The proliferation of steps would make it unsuitable for those with mobility issues, and the ponds and river could make it inappropriate for toddlers. I guess if you had energetic young kids there may not be enough space for them to burn off energy – other than this we wholeheartedly recommend Pangi Gita as an idyllic out-of-town choice, overflowing with the best of all things Bali. The villa is just as what was shown in the website. Lovely baliness deco and design, lush greenery, quite surroundings,spacious living area and garden, all make our stay enjoyable, not to mention the kind and helpful staff. The villa is well equipped with all neccesities, even a nespresso machine. I do feel it's a home away from home. During our stay, we tried breakfast, lunch and dinner in the villa. The standard of food definitely exceeded our expection, from display to taste. We spent plenty of time in the dinning room because it's so comfortable and a good place for family gathering. Overall, the private vacation experience is superb. 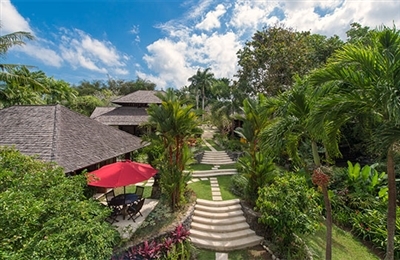 A fabulous villa for those wishing to experience the charm and beauty of Bali the way it was 10 or 15 years ago, with all the comforts of today. We have been vacationing in Bali for many years and love the "old style" but have found that wooden buildings, although lovely to look at, can be musty and dark. Villa Pangi Gita seems to be the exception - it is fresh, full of natural light and impeccably maintained. The grounds on several levels, are beautifully planted and cared for and you are never far from the sound of water - the river or one of the many water features on the property. Pangi Gita is elegant, comfortable, child-friendly and an easy drive to the fast-growing village of Canggu and bustling Seminyak. But, of course, the best part of the Bali villa experience is the staff and the staff at Pangi Gita is no exception. We were made to feel absolutely coddled and all our requests were met with a smile and immediate response. Our chef, Augus deserves special note. Not only did he prepare and serve a last-minute barbeque for 12 one evening (so much fun for all and delicious! ), but one member of our family became seriously ill during our stay. Agus prepared special meals and Jamu (herbal medicines) for her, and personally saw to it that she was made as comfortable as possible. We are extremely grateful for his caring ministrations. The villa and staff were charming. We really enjoyed our stay. The friendly staff went out of their way to make our stay relaxing and memorable. The setting of the garden and the buildings is peaceful and very well maintained. It was very convenient having Dwi, the friendly driver who we utilised a lot. It is about 30min drive to Seminyak. 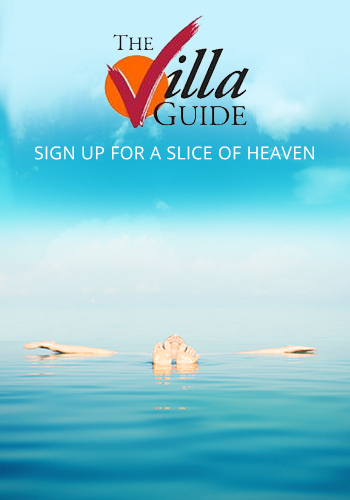 Villa Pangi Gita is a peaceful retreat well away from the hustle and bustle of Seminyak. We were a little nervous about all of the steps and water features with young children. While we needed to keep an eye on them the villa accommodated children really well. We highly recommend it. What a chef, what a location, what an opportunity for relaxation. Brilliant. A beautiful escape for our family, and great value for money. If you were visiting Bali with adult kids or a group of mates you'd be mad to stay in a big impersonal hotel. Our Villa was intimate, relaxed, the gardens were absolutely beautiful, the staff so helpful, the food was great, the pool divine... Some days we tried to leave - but we couldn't! We loved it too much! Fantastic staff. Lovely villa. Perhaps not the most child friendly in terms of lay out. Any niggles washed away by the warmth and ability of the staff who made our stay special. based on 65 user reviews. Pangi Gita is one of our favourite small villas of all time. We were amazed to find out it was built in 1999 – it's been staggeringly well maintained. All the surfaces are carefully polished by the staff and absolutely everything works (it’s not often you can say that in Bali). The flow of the villa from entrance down to river is very easy, giving lots of little areas to disappear off to, helped by wonderfully mature gardens.